This week we take a slight departure to pay homage to remarks made by Jeff Gundlach during the DoubleLine “Just Markets” webcast on Tuesday. Specifically, the macro observations included a nudge to consider equities in places like India and Japan, suggesting that U.S./Canada valuations might be getting a little steep. Turning attention to the universe of stocks outside the U.S. & Canada, we find another “Lost Decade.” The stocks in the Morgan Stanley iShares MSCI EAFE exchange traded fund (EFA) have delivered a -0.6% return ANNUALIZED since 2007 while the Wilshire 5000 checks in at 7.3%. So we went searching for the highest ranked stocks that call an address “home” outside either Canada or the United States. We granted Stella-Jones (SJ-TO) an exception in honor of Jeremy Grantham’s honorary timber class. The Long & Short. (January 13, 2017) Projected Annual Return (PAR): Long term return forecast based on fundamental analysis and five year time horizon. Quality Ranking: Percentile ranking of composite that includes financial strength, earnings stability and relative growth & profitability. VL Low Total Return (VLLTR): Low total return forecast based on 3-5 year price targets via Value Line Investment Survey. Morningstar P/FV: Ratio of current price to fundamentally-based fair value via www.morningstar.com S&P P/FV: Current price-to-fair value ratio via Standard & Poor’s. 1-Year ACE Outlook: Total return forecast based on analyst consensus estimates for 1-year target price combined with current yield. The data is ranked (descending order) based on this criterion. 1-Year S&P Outlook: 1-year total return forecast based on S&P 1-year price target. 1-Yr GS: 1-year total return forecast based on most recent price target issued by Goldman Sachs. The relative/excess return for the Fave Five tracking portfolio is +3.6% since inception. 45.1% of selections have outperformed the Wilshire 5000 since original selection. Our Fave Five essentially represents a listing of stocks with favorable short term total return forecasts (1 year, according to Analyst Consensus Estimates, or ACE) combined with strong long-term return forecasts and good/excellent quality rankings. The average 1-year ACE total return forecast is 7.9%. The Long & Short. (January 6, 2017) Projected Annual Return (PAR): Long term return forecast based on fundamental analysis and five year time horizon. Quality Ranking: Percentile ranking of composite that includes financial strength, earnings stability and relative growth & profitability. VL Low Total Return (VLLTR): Low total return forecast based on 3-5 year price targets via Value Line Investment Survey. Morningstar P/FV: Ratio of current price to fundamentally-based fair value via www.morningstar.com S&P P/FV: Current price-to-fair value ratio via Standard & Poor’s. 1-Year ACE Outlook: Total return forecast based on analyst consensus estimates for 1-year target price combined with current yield. The data is ranked (descending order) based on this criterion. 1-Year S&P Outlook: 1-year total return forecast based on S&P 1-year price target. 1-Yr GS: 1-year total return forecast based on most recent price target issued by Goldman Sachs. The relative/excess return for the Fave Five tracking portfolio is +3.4% since inception. 43.9% of selections have outperformed the Wilshire 5000 since original selection. December 23. Happy Festivus! Festivus is both a parody and a secular holiday celebrated on December 23 that serves as an alternative to participating in the pressures and commercialism of the Christmas season. 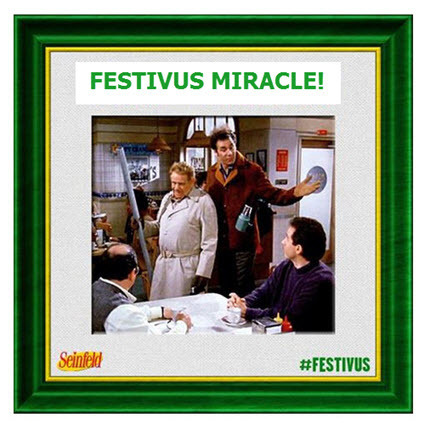 Originally a family tradition of Seinfield scriptwriter Dan O’Keefe, Festivus entered popular culture after it was made the focus of the 1997 episode “The Strike”. The non-commercial holiday’s celebration, as it was shown on Seinfeld, occurs on December 23 and includes a Festivus dinner, an unadorned aluminum Festivus pole, practices such as the “Airing of Grievances” and “Feats of Strength”, and the labeling of easily explainable events as “Festivus miracles”. The primary driver for the screening criteria was the 1-year total return (via analyst consensus estimates) but the field was limited to companies with a Manifest Investing rank of 90 and above (based on long-term return forecast and quality ranking). For context, the average 1-year ACE total return forecast is currently 8.0% for the approximately 2400 companies in our coverage. So we’re looking for that 1-year miracle … as a case in point, the analyst consensus for Rocky Mountain Chocolate Factory (RMCF) has a 1-year total return forecast of 78.6% based on an expected price of $18 and a 4.7% yield. 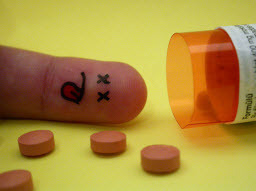 The problem is that the ACE committee of analysts is N/A. Festivus SPECIAL: The Long & Short. (December 23, 2016) Projected Annual Return (PAR): Long term return forecast based on fundamental analysis and five year time horizon. Quality Ranking: Percentile ranking of composite that includes financial strength, earnings stability and relative growth & profitability. VL Low Total Return (VLLTR): Low total return forecast based on 3-5 year price targets via Value Line Investment Survey. Morningstar P/FV: Ratio of current price to fundamentally-based fair value via www.morningstar.com S&P P/FV: Current price-to-fair value ratio via Standard & Poor’s. 1-Year ACE Outlook: Total return forecast based on analyst consensus estimates for 1-year target price combined with current yield. The data is ranked (descending order) based on this criterion. 1-Year S&P Outlook: 1-year total return forecast based on S&P 1-year price target. 1-Yr GS: 1-year total return forecast based on most recent price target issued by Goldman Sachs. The relative/excess return for the Fave Five tracking portfolio is +3.7% since inception. 46.3% of selections have outperformed the Wilshire 5000 since original selection. This weekly feature is now into its second year and we now have a handful of positions in the tracking portfolio with a holding period greater than a year. The two-pronged screening method seems to have promise and it also serves as a “proving ground” for our exploration of excess/relative return-based selling guidelines. This week we’re renaming the tracking portfolio and will begin referring to it as the Fave Five Legacy. The Long & Short. (December 16, 2016) Projected Annual Return (PAR): Long term return forecast based on fundamental analysis and five year time horizon. Quality Ranking: Percentile ranking of composite that includes financial strength, earnings stability and relative growth & profitability. VL Low Total Return (VLLTR): Low total return forecast based on 3-5 year price targets via Value Line Investment Survey. Morningstar P/FV: Ratio of current price to fundamentally-based fair value via www.morningstar.com S&P P/FV: Current price-to-fair value ratio via Standard & Poor’s. 1-Year ACE Outlook: Total return forecast based on analyst consensus estimates for 1-year target price combined with current yield. The data is ranked (descending order) based on this criterion. 1-Year S&P Outlook: 1-year total return forecast based on S&P 1-year price target. 1-Yr GS: 1-year total return forecast based on most recent price target issued by Goldman Sachs. The relative/excess return for the Fave Five tracking portfolio is +2.7% since inception. 50.6% of selections have outperformed the Wilshire 5000 since original selection. Our Fave Five essentially represents a listing of stocks with favorable short term total return forecasts (1 year, according to Analyst Consensus Estimates, or ACE) combined with strong long-term return forecasts and good/excellent quality rankings. The average 1-year ACE total return forecast is 8.1%. We’re back after a Turkey hiatus and proceeding with the second year of this weekly feature and resultant tracking portfolio. This week’s stocks represent some leaders with a solid long term outlook, a couple that have clearly found a speed bump … but all of them are generally regarded as “over sold” and many of them have been appearing on screening results. The Long & Short. (December 2, 2016) Projected Annual Return (PAR): Long term return forecast based on fundamental analysis and five year time horizon. Quality Ranking: Percentile ranking of composite that includes financial strength, earnings stability and relative growth & profitability. VL Low Total Return (VLLTR): Low total return forecast based on 3-5 year price targets via Value Line Investment Survey. Morningstar P/FV: Ratio of current price to fundamentally-based fair value via www.morningstar.com S&P P/FV: Current price-to-fair value ratio via Standard & Poor’s. 1-Year ACE Outlook: Total return forecast based on analyst consensus estimates for 1-year target price combined with current yield. The data is ranked (descending order) based on this criterion. 1-Year S&P Outlook: 1-year total return forecast based on S&P 1-year price target. 1-Yr GS: 1-year total return forecast based on most recent price target issued by Goldman Sachs. The relative/excess return for the Weekend Warrior tracking portfolio is +4.5% since inception. 51.3% of selections have outperformed the Wilshire 5000 since original selection. In this month’s cover story, we took a closer look at one of the screening methods used by Hugh McManus. In a nutshell, he searches for high-quality companies trading near a selected low price. The current price is compared versus a selected low price which is dependent on the company’s growth rate. The higher the growth rate, the further back Hugh goes in history to compare. The following results illustrates why he’d avoid Apple (AAPL) and keep in mind that he’s generally disinterested unless this ratio (price-to-selected low price) is less than 25%.